Looking to get a new dog? Want to make sure you find a dog that fits in with your lifestyle? If so I recommend going through a local rescue. 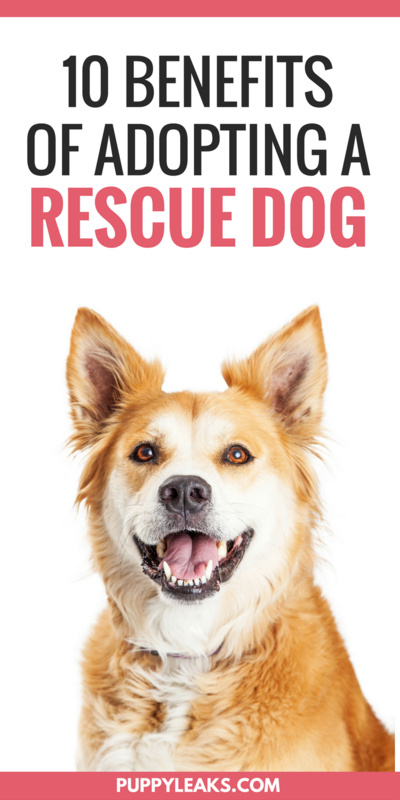 By going through a rescue you’ll get first hand knowledge about the dog you’re adopting. And when it comes to finding the right dog for your family it doesn’t get any better than that. Not all dogs are right for every home, and not all potential dog owners would be willing to put in all the effort needed to keep a young Border Collie happy. This isn’t just about saving rescue animals (which of course is awesome), it’s about making the right match between dog and owner to begin with. How Much Research Did You Put Into Your Last Car Purchase? When you’re in the market for a new car you do your research. You check reliability ratings, crash test scores, MPG standards, available features, miles driven, and a quick check for any reported crashes and previous owners. When you’re in the market for a new dog you could do just as much research, or you could go buy one from a pet store, breeder, shelter, or that dude on Craigslist. Puppies are cute, and if you’re not careful they’ll draw you in, it happens to the best of us. Appearance may draw you in, but it won’t do you or the dog any good in the long run if it’s not a good match. Even though both purchases will have a great impact on your life for the next 5-15 years we usually put a lot more effort into choosing the right car. Dogs require a lot of effort, and if you’re getting a puppy you can multiply that times 1000. Dogs age and mature at different rates. It’s not uncommon for a Labrador to remain puppy like for years, our Lab growing up remained quite hyper until the age of 4 or 5. Labs are known for their awesome temperaments, but their physical and mental demands can be challenging to meet. I’ve heard many people talk about their Labs – wondering why he has bad manners and continues to chew everything in sight. Manners can be corrected with some consistent training, the excessive chewing is probably because he’s bored and under stimulated. Labs have been bred to work alongside us, they’re not natural couch potatoes. I’m highlighting Labs because they’re the most popular breed in America and have been for quite some time. With our ever increasing reliance on technology and the tendency towards a more sedentary lifestyle I assume many more Labs and other dogs will continue to be surrendered to shelters. They might be the sweetest and most amiable dog you’ll ever meet, but they’re not right for everyone. I chose Laika impulsively, when I saw those big old ears I fell in love. And when she climbed into my lap and licked my face it was a done deal. When I got her home I realized she was quite a little terror. No manners, no bite inhibition, and a lot of resource guarding. Luckily it worked out for us. With a lot of training and consistency I taught her a much more appropriate way to interact with others. If I had already had other pets or children when I got Laika I don’t know how things would have turned out. When I see people acting impulsively as I did I can’t help but wonder if it’s going to work out. Statistics show it doesn’t happen often – only 1 out of every 10 dogs born will find a permanent home. With such dire statistics it’s clear that either we don’t really think of dogs as a lifetime commitment, or many bad matches are made to begin with. Faces like this are why I choose rescue. Where else can you find such a goofy Shepherd mutt like Laika? We hear all the time that dogs in rescue are damaged goods. Yes it’s true that some rescue dogs aren’t good with other pets, and some aren’t good with children. Some may have fear issues, while others might be over protective. The same can be said about dogs anywhere. My neighbor has had his dogs since they were pups and they’re not what I would consider decent canine citizens. They run amok and terrorize people jogging by. Most rescue dogs aren’t there because of behavioral issues, many of them are there at no fault of their own. Many are probably there because they weren’t a good fit for their families lifestyle to begin with. You can find any sort of dog in rescue. If you’re looking for a nice laid back family dog they’ve got those. If you’re an avid runner and want a jogging buddy they’ve got the perfect match for you. If your family wants a puppy they’ve got lots of those as well. Can’t adopt right now? You can help animals in need by spreading the word about the benefits of adopting. When you choose to adopt a rescue dog you get to find out about his or her quirks before you make a commitment. 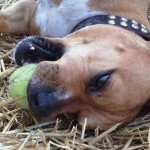 Choosing a dog that’s in foster means you can see how they act in a home setting. It also lessens the chance that you’ll have to spend extra time helping them adjust to life in a home environment. You can speak to their foster and find out what they’re really like. Is he energetic? Does he love children and other dogs? Does he walk well on the leash? What are some of his favorite treats? Ask away – the foster will fill you in. You have the option to choose the right dog for your lifestyle and remove a lot of the guesswork. If you’re a new or novice dog owner you can take out a lot of the stress from training buy adopting a dog that already knows the basics. Most adult dogs in rescue are already house trained, don’t chew, and have good manners. If you prefer the clean slate of a puppy they’ll work to find you a great pup as well. When you’re adopting from a rescue, specifically a foster home, you can see how the dog behaves in a home environment. 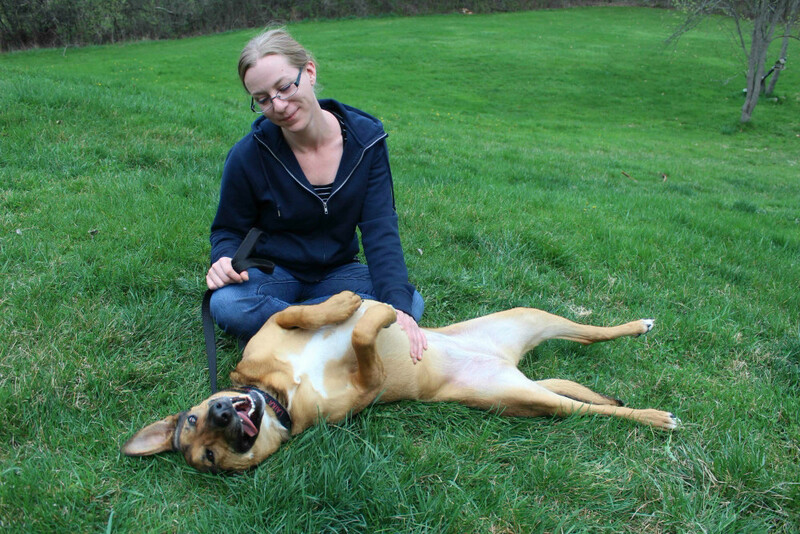 The foster will be able to tell you in great detail how the dog reacts in many different situations. You’ll know whether they like other animals, how they act around children & strangers, and what their energy level is like. Rescue dogs should be fully vaccinated and spayed/neutered before you adopt. They’ve gone through veterinary exams and many have had behavioral assessments that test them around other animals & food. 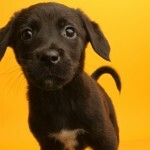 When you take into consideration your dog has already been vaccinated and fixed adoption fees are extremely reasonable. Most vary from $50-300. The average cost for getting an animal fixed is between $50-170. And for anyone that’s taken their dog to the vet for shots you know how quickly those costs add up. Rescues have puppies, adults, and seniors. Every breed and every mix you can think of. If you want a purebred there’s many available in rescue (approximately 30% of dogs in rescues and shelters are purebred), or you can reach out to a breed specific rescue. When you work with a rescue they have the dogs future in mind. They’re committed to making sure their dogs are placed with the right family. Ask them questions, give them a list of what qualities you’re looking for – they’ll let you know if they have any dogs that match your needs. You can find an awesome dog that’s already gone through their horrible adolescence stage. Many ASPCA shelters and other rescues offer a foster to adopt program. This is especially helpful if you’ve got other pets or children at home. If you’d like to make sure the dog is a great fit before you sign the adoption paperwork ask if they have a foster to adopt program. Many rescues offer support for their adopters & they’ll be available to answer any questions you might have. And in the event of something unforeseen many are willing (some even insist) to take an animal back if there’s a problem. Every dog that’s adopted from a rescue or shelter means another spot opens up. When you adopt a dog you’re giving him a second chance at life, but you’re also helping to make room for other animals in need of a home. You can find some beautifully unique dogs in rescue. There’s something so awesome about the uniqueness of a mutt, they really are one of a kind. If you’ve always wanted a spotted dog with a big bushy tail they can find one for you. If they don’t have one available you can be placed on a waiting list. If you buy a puppy online or from a pet store there’s a 99% chance they’re from a puppy mill. Puppy mills stay in business by using deceptive tactics on potential owners. By adopting a pet from your local shelter or rescue you can fight back against puppy mills, and you can ensure that you’re not supporting their unethical breeding practices. Shelter dogs know when they’re given a second chance. Not only will you be gaining a best friend for life, you’ll have a dog that’s grateful. Shelters & rescues have a wide variety of dogs. From purebreds to mutts, puppies to seniors – they’ve got a dog that’s right for everyone. People who work in animal rescue are doing it for the love of animals, they’re not out to make a quick buck. They’ve seen so many animals surrendered – the last thing they want is for one of their own to end up back at a shelter. Don’t be afraid to ask questions, and don’t be afraid to come up with a list of what you’re looking for. The more information the workers have about you and your lifestyle the better they’ll be able to match you with the right dog. Keep in mind many rescue workers are busy volunteers, give them a few days to get back to you. As with any organization you deal with not all rescues have the same policies. Some might require you to have a fenced yard, some may require a home visit. Although the home visit gets people nervous it’s usually to make sure you’re not a hoarder, not to give your home a white glove test. The people who work in rescue want to see their dogs placed in permanent homes. They’re likely just as interested as you in making sure the dog is a good fit for your lifestyle. If you live in Alaska you shouldn’t buy a Mustang, and if you’re a couch potato you shouldn’t adopt a Border Collie. It’s always wise to do your research before making any big purchase – please do the same before you adopt your new best friend. Have You Rescued Any Pets? Do you find that they’re forever grateful? Was the adoption process a positive experience? Any other advice you’ve give to potential adopters? Let me know in the comments below. 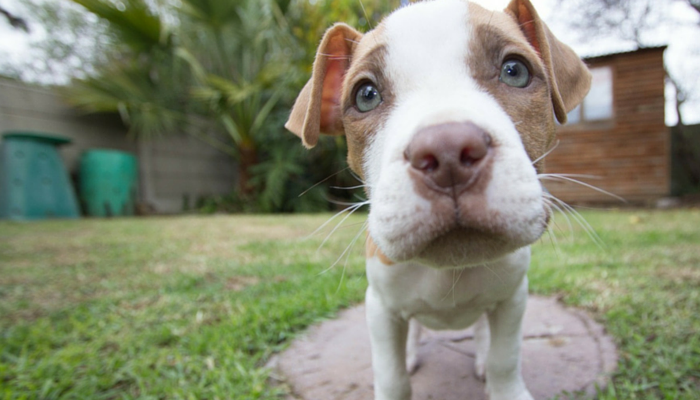 If you can’t adopt don’t worry – there’s plenty of other ways you can help animals in need. All great reasons to adopt a rescue dog (or cat). My three dogs and four cats all were rescues — and I recommend the same to all pet lovers. Even if you want a particular breed, there are plenty of breed-specific rescues that can help you find the perfect dog. So many great breed specific rescues are out there, and they’re well educated on not only the breed but all the specifics of each of their particular dogs. I think it would be hard to not find a good match if you go through a great rescue. These are some excellent reasons to adopt a rescue dog! I really love the idea of the foster to adopt program. I’d love to see even more shelters implement such programs! I agree – foster to adopt is the closest you can get to guaranteeing a great match. I have done my own fair share of impulsive pet adopting lol! Sometimes you just can’t help yourself! Rescues are a great way to go, and these are all perfect reasons! Fantastic post. Reya is 1 of 2 purebred dogs I have had my entire life, the other was one of our family dogs growing up, who was gifted to us when a local family moved. All of our other dogs and the majority of our cats came from the humane society. The cats who didn’t were rescued barn cats who were abandoned by their moms. My husband and I both have donated time and money to various rescues and adore them. Most people don’t know how ugly breeders can be and how dangerous it can be for dogs if you don’t find the right one. With Reya being our first, I have to say it takes a lot more patience and you can never impulse buy from a breeder. It took two years of research and visiting kennels before we found a good breeder. It took two years of waiting and lots of love before we had our Reya, and to this day we are still good friends with her because of the life long bond the breeder wanted to have with all of our puppies. Most breeders I have met are nothing like that. Great post. Too often we act with our heart instead of our head. Great post! I wish more organizations had the foster to adopt program. I think it would help people be more open to adopting a rescue dog. Although the majority of my dogs entered my life as puppies, adopting adult dogs is an awesome experience. I really couldn’t love Theo any more if he had been with me his whole life. That 1 out of 10 stat makes me sad – but this is a great post on informing people the benefits of really thinking about the decision, doing research, and being responsible. Such great reasons for adopting a rescue dog and I completely agree with looking for rescues with a foster system. I always send people that direction when they have a lot of “requirements” so they have a better idea of the dog’s personality. Fantastic list of reasons to adopt a rescue or shelter dog. Foster to adopt is the perfect route to a perfect pairing, I feel. Great post! I went in to the shelter with a list of exactly what I wanted in a dog. I did not want to regret bringing a dog into my home that didn’t fit with my family and lifestyle. Great post! So many people get pets on an impulse and they just end up being surrendered (or worse). It’s hard to say no to those cute little faces! There is a lot of great information here that can help people make responsible choices about adding new furry members to their family. Great reasons! I also picked Luna pretty impulsively. It’s tough because I KNOW Luna is the right dog for me now, but she was quite a bit of a handful when I first got her. However, if I hadn’t acted as impulsively, Luna probably would be with another family. I think kids, pets, weird work hours, or other restrictions are absolutely reasons to not act impulsively, but I didn’t have that at the time and I think that is why it worked out. Great reasons – we always choose adopt over shop! Our family are all rescues! I think it’s scary for people to adopt a shelter or rescue dog because they think they don’t know how the dog is going to be. My parents are a good example, because while they see I’ve had success with adopting and fostering, they have always bought purebred puppies they could raise how they wanted. But what I love about rescue groups is they often (not always) know so much about the dogs. It makes it easier to find the ideal dog for you. I’m able to foster with a local rescue because it tries to find out as much info as possible about each dog, update the bios and if a dog doesn’t work out in a foster or adoptive home, they have a backup plan ASAP. I guess it’s all about finding the right group. 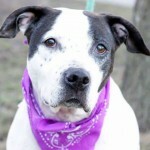 For anyone looking to adopt a dog, a good place to start would be to try to find a friend or other connection who is a volunteer at a shelter or rescue. That person could help explain the process. So, so true. Thanks for helping to spread the message! So many excellent points in this post, bravo! Doing the research to match the dog’s breed traits & energy level to your lifestyle is critical for success. 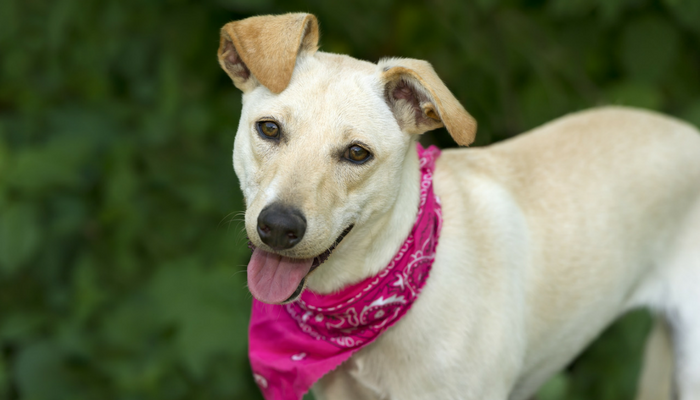 There’s a rescue group for nearly every dog breed and rescues usually pay a lot of attention to making their dogs more “adoptable” by housetraining and teaching some manners. Sharing this. Great post- we love encouraging people to rescue. Will share. Great post. I had several labs over the years and from my experience, your comments about them is absolutely correct. They are usually sweet, friendly dogs but hell on paws for the first 4-5 years. They need a lot of exercise and need at least basic obedience training. 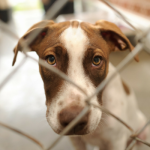 They are one of the most common owner turn-ins to shelters because people just didn’t understand what they are getting themselves into when they buy a puppy. Great post. I do think one of the areas where rescues fall short is that often they are not there with support for the life time of the animal, at least that has been true of the animals that I know who came from rescue. I know people who actually went back to the rescue with a problem dog and received no guidance and when the dog turned out to have major aggression, would not take it back. After we rescued our kitty we never heard a thing from that rescue again. I really wish rescues would have more of an outreach program to those who have adopted. It seems like in the day and age of electronic media, that could be easy to set up a newsletter, not for fundraising, but just with suport. This is a really great post. I am a firm believer in adoption and I agree 100% with all the reason you have listed. I also have to admit that I adopted my last 2 somewhat impulsively. Although I knew about the breed, I did not think about the time commitment and what was necessary for bonding with a new dog. I have 4 and I definitely should have taken more time in between adding the next. One thing I realized about the rescue I adopted my oldest from was that they truly did not know the breed. Thankfully I already had experience owning a Siberian Husky. I like that you mention not being scared to ask questions and making a list of what you’re looking for. In order to talk to them about what you want, you’d probably want to set up an appointment and research their background. Researching them online before you visit them, you should be able to figure out what their service are, the type of animals they have, and if they’re in a convenient location so you can get to them easily. Once you’ve met them and given them your list, you’d probably want to meet with the animals they’ve rescued that fit what you want so you can make sure they’re comfortable around you and that you’ll be able to get along with them.